Have you seen anything more beautiful than the above photo? 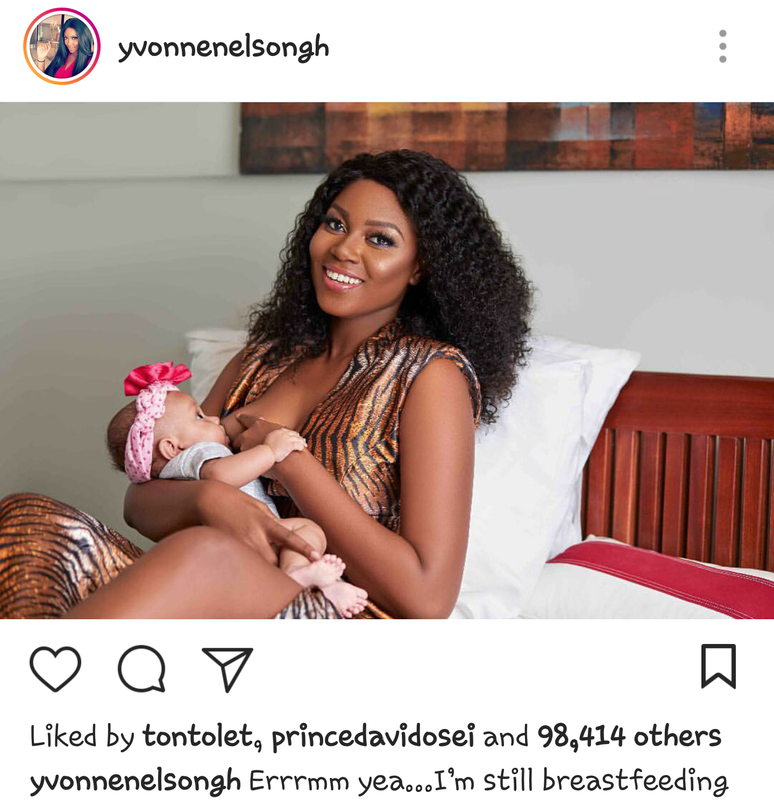 I call it the joy of motherhood, whereby the beautiful Ghanaian actress, Yvonne Nelson, put aside her celebrity status, fame, the fear of her breast falling, in order to be a real mother to her baby girl. "Errrmmm, yea! I'm still breastfeeding"